The ability of to conduct your business and your life is as important to walkers and rollers as it is drivers. This entry was posted on December 5, 2014 at 2:21 PM	and is filed under Action, Local Transit Issues, Regional Transit Issue. Tagged: Independence, Johnson County, Kansas City, Unified Government of Wyandotte County. You can follow any responses to this entry through the RSS 2.0 feed. You can leave a response, or trackback from your own site. Thanks for letting folks know about this. 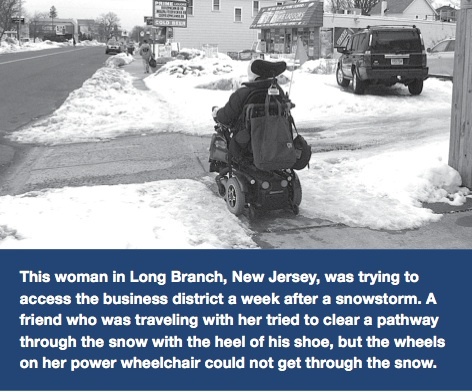 This is a serious issue for those of us who use wheelchairs. Live simply, expect little, give much. Fill your life with love, scatter sunshine. Think of others and do as you would be done by.